Nowadays, India’s super luxury market is setting new benchmarks in the realty sector globally. Leading developers are hiring top architects from Australia, Europe, Britain and other parts of the world. These people have the highest skills in this business and with their inspired teams and innovative technologies, India’s realty market is competing with major global giants in the realty sector. 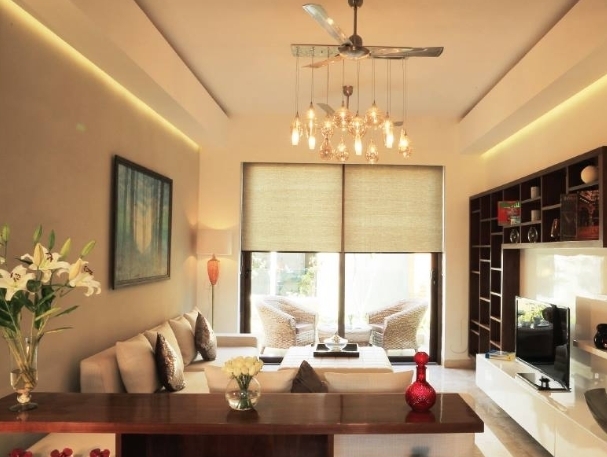 Gurgaon’s realty market is the perfect example of this emerging super luxury segment. With the growth it has achieved in its IT sector, the demands are rising continuously for the modern living residential spaces. People from various parts of the country and NRIs also are the part of the big multinationals running their businesses here. These highly skilled professionals have salaries in 6 digits and have no limited budget issues. They only want a place to settle down where they can get the utmost comfort and superlative luxury. Moreover, the exciting easy payment plans from the developers and various home loan offers from the leading banks have made the process easy to own a home with super luxury elements for the investors. Gurgaon is not good for the availability of quality housing options but it is also known for its better connectivity, quality education, best medical facilities and improved infrastructure. In several international reports, Gurgaon is mentioned to be in the list of top 20 cities which are best for a comfortable and convenient living. 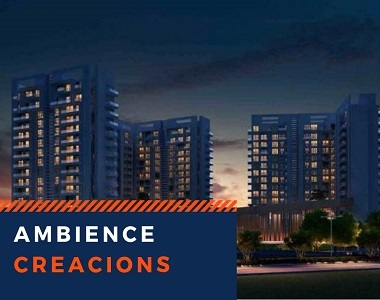 For those families who desired for a great experience of ultra-comforts and amazing amenities in their new home in Gurgaon, Ambience Creacions is the best option to choose from. The development comes with a collection of amazing new features which surpasses all the limits of modern luxuries. You can feel a heavenly feeling in the 2, 3 and 4 BHK apartments and penthouses in the 20 fabulous towers (G +20) spread over 18 acres of land. The flooring in these ultra-luxurious homes is inspired with Spanish, Turkish and Italian designs and the modular kitchens in Ambience Creacions Gurgaon have fancy Italian marble counters, piped gas and multiple provisions. With the built-up area varies between 1380 sq. ft. to 3976 sq. ft. the spaces are available in the price ranges from Rs. 1.51 crores up to Rs. 4.37 crores. Situated in Sector 22, Gurgaon, the property offers many location advantages to the residents. It comes in close proximity to NH 8 and Domestic and International Airport. A large of a number of schools, hospitals, shopping malls are in close radii too. The amenity segment of Ambience Creacions Sector 22 is outclassed. The property has everything in the list like swimming pool, gym, landscaped garden, clubhouse, meditation centre, multipurpose hall, indoor games, kids’ playground, car parking, passenger and service lifts, 24-hour water and power supply, sewage treatment plant, Wi-Fi connectivity and many more other features.